Chicken inasal is probably the most popular dish from the City of Smiles, Bacolod. Unlike the common barbecue or grilled chicken that uses soy sauce (toyo), this specialty uses different ingredients for its marinade and basting sauce that create that sought-after unique flavor. The smoked flavor added by cooking the chicken on a hot charcoal grill imbibes the marinade and makes the dish tastier. Chicken Inasal is also distinct for its yellowish color brought about by the application of achuete or annatto oil. Served with steamed rice and a dipping sauce made up of vinegar, calamansi, sot sauce and siling labuyo, aaah this dish is heaven. Although Chicken Inasal is now widely available in the metro with proliferation of fast food restaurants such as Mang Inasal, Inasal Bacolod and others, still, the best and the authentic recipe can be had in Bacolod City. One of the popular place there where you can eat (and where the above photo was taken) is in Manukan Country which is a row of carinderia or eatery that serves this special dish. Also, the price compared to Manila restaurants are lot cheaper wherein you can have a very satisfying meal for less than a hundred pesos. Also, there are several ihaw-ihaw corners that offer Chicken Inasal for a measly fifty pesos per piece. Order a couple and you will have Chicken Inasal overload. I love Chicken Inasal and could eat it all day long. Oh, yummmmm!! 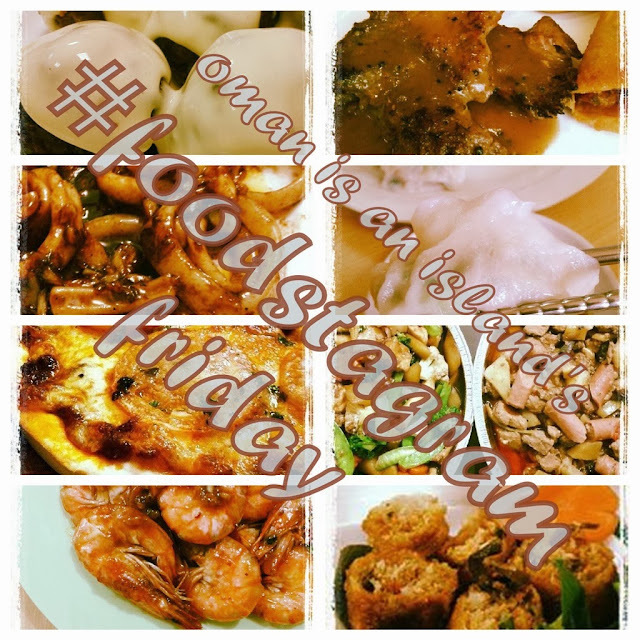 Looks delicious, Oman!!! Hope you have a great weekend with lots of great food!! Enjoy it all!! i never had this. looks very tasty and am curious about the spices they use for marinade. I gather that they use a specific type of vinegar (sinamak) to marinade the chicken. Iba eh. Thanks for visiting. Please come back anytime. That chicken really does look delicious.. It's no wonder it is so popular... YUM. It's tasty inside out. I am craving for one now :) Thanks Betsy. When I'm in Pinas, this is one of the causes why I eat plenty of rice haha. I just can't go out of the resto, without a take away order apart from the dining experience. Pareho tayo haha. Lakas sa rice nito, uso pa naman sa mang Inasal ang unli-rice kaya walang diet pag Chicken Inasal. Oh my, I love Chicken Inasal and if it costs 50% less in Bacolod, then I will eat nothing but Chicken Inasal there. Hi Vanessa, yup, it's a lot cheaper there. My hundred bucks goes a long way. Even as a vegetarian, I can appreciate good food presentation of this type - and start to work out 'conversion' recipes in my head!! No need to present it in any other way. Just your rice sprinkled with canola-atsuete-chicken oil, the dipping sauce and the grilled chicken. Yum. As for MC Martinez, we simply adore the guy because we do not have snow in the Philippines and ice skating rinks can be counted with one hand but he still perseveres with his sport and for that we adore the kid dearly. All the best to him. Grabe yang Inasal, amoy pa lang ulam na kaya click na click ditto sa Manila and Mang Inasal eh. Pero pag nasa Bacolod or Ilo-ilo ka, mas masarap lalo ito at mura pa.
Korek ka jan Kiko. Tara, Mang Inasal tayo? mouth watering.. Bacolod maybe known for this barbecue recipe and Cebu for its lechon, but i specially crave for the barbecue in our city, Surigao City, which stalls location are now threatened by the road widening project of the DPWH. I hope when i go back, i can still find them lined up together. I have to try your version of Chicken Barbeque. Hopefully the stalls will just transfer to another place because of road widening project.